Chinese PP market is expected to go through a busy maintenance schedule during the second quarter of 2019, which is likely to counterbalance the existing oversupply situation in the midst of other bullish factors. Local inventories have remained ample since the end of the Chinese New Year in February, during which suppliers accumulated considerable amount of supplies. On top this, demand in Asian markets failed to pick up following the holiday, and this also contributed to the high stock levels. Will upcoming turnarounds help ease supply overhang? The domestic supply overhang is likely to be alleviated soon, as the second quarter will see a total of 1.81 million tons/year of PP capacity in China going offline. Plus, the sentiment inside China has recently improved following the VAT cut, which will help stocks diminish. China Flexible Packaging Group will shut its two PP plants with 500,000 tons/year capacity each in April-May while there are five more plants planned to be shut in April-May in China. In addition to a spate of domestic turnarounds, more than 1.7 million tons/year of capacity is also expected to be offline in the Asia-Pacific region between April and June. The planned shutdowns include Hanwha Total Petrochemical’s 700,000 tons/year unit and KPIC’s 470,000 tons/year unit in South Korea. The current supply levels in the local market stand in contrast to the limited overseas supplies. The shutdown at Nghi Son Refinery and Petrochemical’s PP unit in Vietnam was extended until late March and LG Chem’s unit in South Korea underwent a planned maintenance in March until early April. Saudi producer Tasnee’s Al Jubail plant began a planned maintenance in early April and Indian Mangalore Refinery & Petrochemicals is expected to start a lengthy turnaround at its PP unit next week. 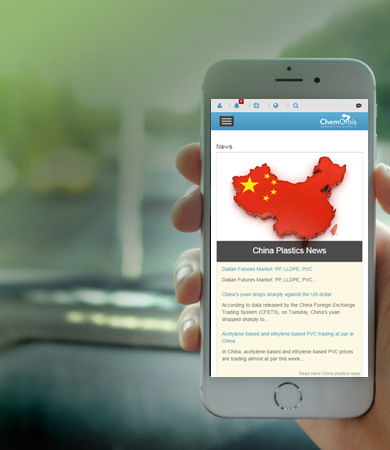 To see further details about the most updated news of new capacities as well as shutdowns and restarts around the globe at a glance, please visit ChemOrbis PP Production News .